Eighth grade students at BCI Academy are anxiously awaiting the results of their National Examination. This testing took place over three days, from June 8th-10th, and is government mandated for all eighth grade students. 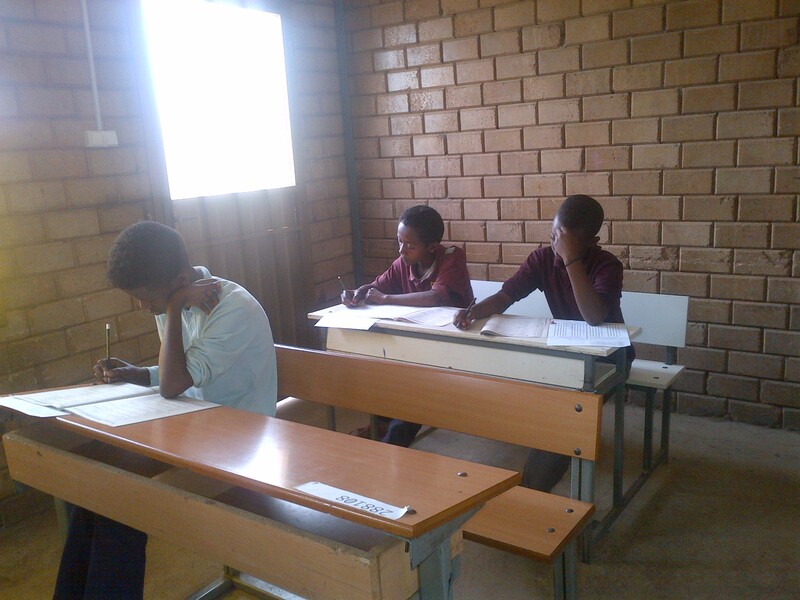 The exam represents the culmination of their primary education (grades 1-8). Students are evaluated on their knowledge of eighth grade material as well as information from previous years. The exam is prepared by the National government and all students in the country receive the same questions. Our students have been busy preparing for the exam throughout the school year. We are thankful for our wonderful teachers who have provided them with the best education possible in order to help them pass and advance to the ninth grade. Those who successfully pass the exam will progress to secondary education, while students who are unsuccessful must repeat eighth grade and take the exam once again. We prayerfully await the results of the exam, which are expected to arrive soon. Through the support of our sponsors we are able to provide the children of BCI Academy with an education that gives them a great foundation for the future. We also take advantage of additional opportunities to broaden their learning experiences whenever possible. When Parle Products Ltd. extended an invitation for local schools to tour their new facility, BCIA was the first to step up and accept. 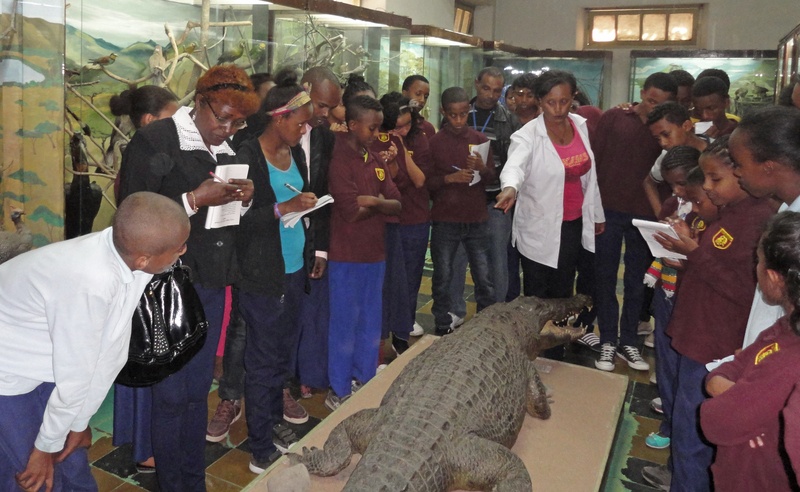 All grade levels participated in this field trip, which took place over two days. Our students traveled three miles to the neighboring city of Dukem to visit the Parle factory. Parle manufactures various snacks and biscuits and sells them to customers worldwide. Students watched an animated video and learned about how to have discipline and eat nutritious foods. This is great information that they do not receive at home. The nutrition lesson was followed by a trip to the factory where the students were able to see the biscuits being molded and packaged. They watched production from a safe viewing area in order to maintain sanitation in the factory. This field trip provided a unique opportunity for the students to see firsthand how a global company operates. At the conclusion of the tour, students enjoyed sampling the delicious biscuits and taking photos with the factory manager. They had a fun experience while learning about nutrition and manufacturing. The students of BCI Academy have been working hard in the classroom all semester learning math skills, science, and other subjects. In order to reward their efforts, we arranged a field trip at the end of their midterms. The children were able to learn the important lesson that hard work leads to opportunities. 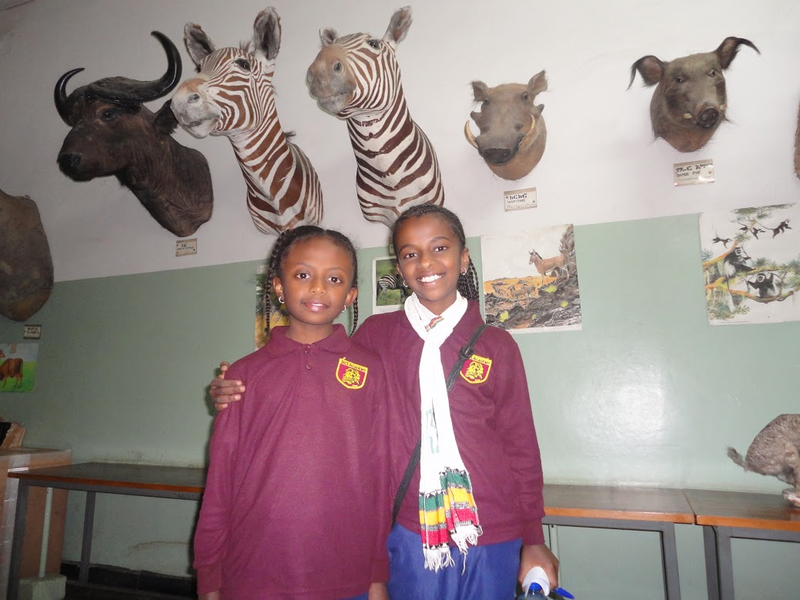 Students in grades five through eight who scored a “B” or higher were invited to participate in a field trip to the National Museum of Ethiopia. The museum is the largest in the nation and is located near Abbis Ababa University’s graduate school. It houses artistic treasures as well as many precious archeological finds, including fossilized remains. The students soaked up the new information and took notes to help them remember what they learned. 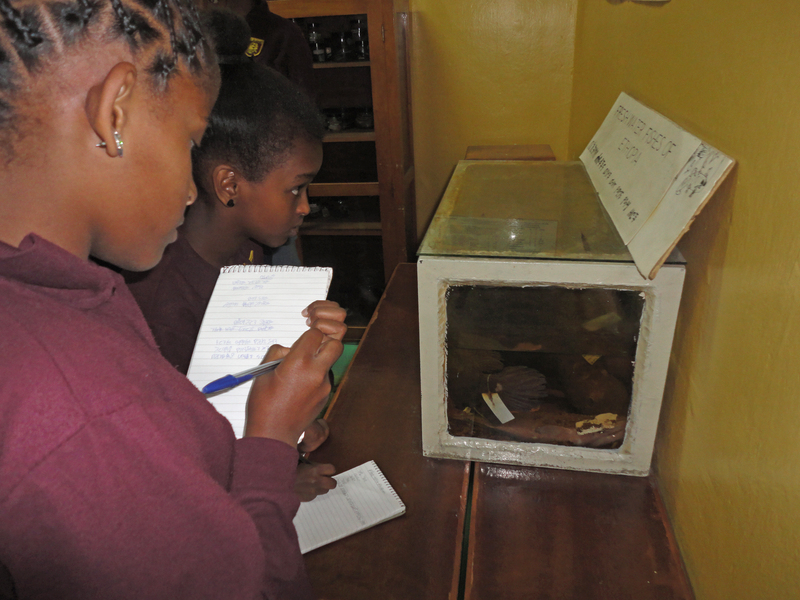 They enjoyed seeing all of the displays and having an up close look at important artifacts from history. Our educators work very hard in order to ensure that each child at BCI Academy receives the best education possible. The students play an important role in their education and must contribute to learning and growth by applying themselves in their studies. Our educators enjoyed providing them with a reward for their hard work that was both educational and fascinating. Ferehiwot Sisay is a bright young girl who lives on the outskirts of Debre Zeyit. She loves her family and enjoys looking after her brothers and helping her mom cook. But despite her take-charge attitude and cheerful smile, Ferehiwot’s home situation is deteriorating. Before BCI and her social worker stepped in, Ferehiwot’s family lived in a very small, one-room house with only one bed. All cooking and playing had to be done outside. When BCI found Ferehiwot, the families need was so great that we accepted Ferehiwot and both of her brothers (Abiy and Emmanuel) into the program. In order to improve their condition, BCI helped the family find a larger home for less rent. While the home was an improvement from their previous one, the children are now far from the town and school, and the home is in poor condition. Ferehiwot’s mother is unable to afford beds to sleep in, a table to eat at, chairs to relax in, a desk for studying, or any other household needs. The family has very little income to improve their condition and Ferehiwot also suffers from an ongoing illness that requires medical treatment. Ferehiwot and her family are in desperate need of additional support. Living so far outside of town makes it difficult for Ferehiwot to get into town for school, church, and whatever errands she needs to run for her family. Her medical condition also inhibits her from being as active as she would like, especially when she doesn’t get the proper nutrition she needs to keep her body healthy and strong. We are grateful to our sponsors who help provide for the needs of our children and we are confident that we can improve the quality of life for this precious family through your generous support. Can you help us move Ferehiwot into safer housing? Or maybe you can help ensure she has a table to eat at and a bed to sleep in? If you are able to meet one or more of these needs, please make your donation or contact us today! 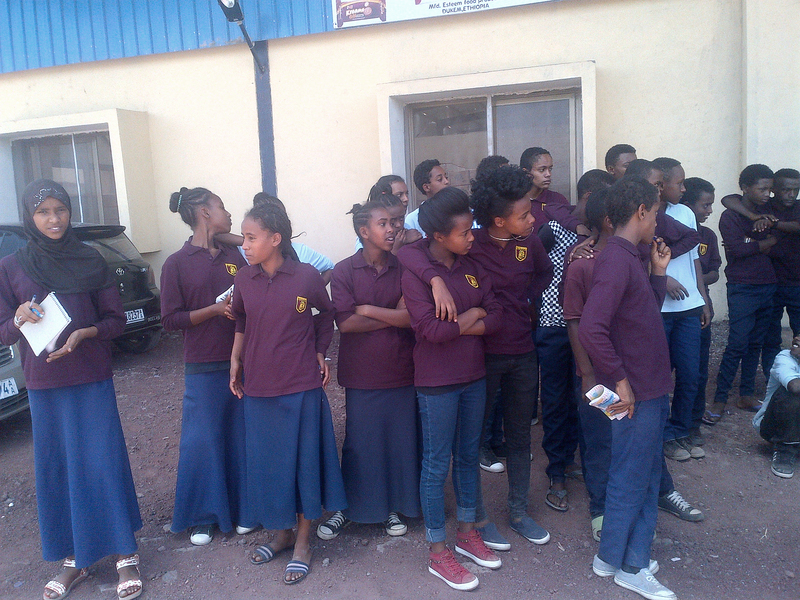 Once or twice a year, the Cluster Resource Center (CRC) in Debre Zeyit hosts a question and answer-type competition among member schools. There are seventeen schools under the CRC system, which provides training and enables its schools to share their resources and experience. The CRC is part of the Regional School Administration Office. Students from the 4th and 8th grades at BCI Academy recently participated in one of these competitions. 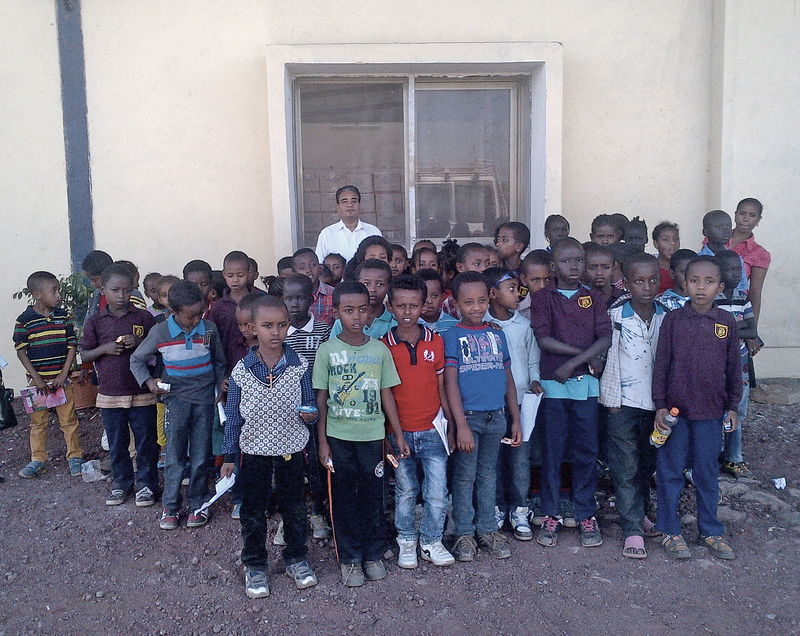 Topics included English, Amharic, math and science. 8th grade students were also quizzed on geography and specific sciences like physics, chemistry and biology. Overall, the BCI Team consisted of 10 students and three teachers, with two competitors from 4th grade and three competitors from 8th. There were also support team members present from each grade. The top students from each grade were chosen to participate. The teachers did an excellent job preparing the students beforehand and coaching them during the competition. The students displayed great confidence during the event and did not let us down! Both grades came away champions, with the 4th grade making it to the third level and 8th grade dominating the competition with Natnael Birhanu placing first, Mintesinot Gashaw placing second, and Fenet Kefeyalew placing third. The entire school showed its appreciation the following day with a special flag ceremony and award presentation. The teachers were especially proud of their students, and although a teacher salary may not be very high, the satisfaction received from the results of the students’ efforts was immeasurable. Kudos to BCI Academy students and teachers on a job well done!